In previous work on the Maxwell–Klein–Gordon system, first global existence and then decay estimates have been shown. 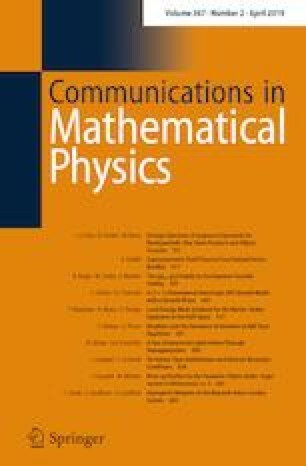 Here we show that the Maxwell–Klein–Gordon system in the Lorenz gauge satisfies the weak null condition and give detailed asymptotics for the scalar field and the potential. These asymptotics have two parts, one wave like along outgoing light cones at null infinity, and one homogeneous inside the light cone at time like infinity. Here, the charge plays a crucial role in imposing an oscillating factor in the asymptotic system for the field, and in the null asymptotics for the potential. The Maxwell–Klein–Gordon system, apart from being of interest in its own right, also provides a simpler semi-linear model of the quasi-linear Einstein’s equations where similar asymptotic results have previously been obtained in wave coordinates. T.C. acknowledges financial support by the DFG through the CRC “Taming uncertainty and profiting from randomness and low regularity in analysis, stochastics and their applications”. C.K and H.L. were supported in part by NSF Grant DMS-1500925.